People love the idea of a smart home for a lot of reasons. For most it is about convenience, allowing them to automate things that used to be done (or not done) manually. For many it is about entertainment. Streaming music is now just a voice command away, and a world of video is available at the touch of a button. For others, the smart home is about increasing comfort with tools like connected thermostats, motorized roller shades, and automated lighting. 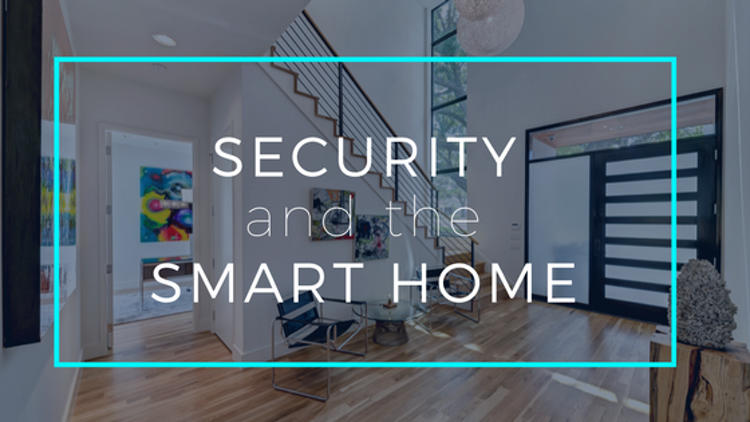 One things most potential smart home customers should be taking advantage of is the improved ability of smart devices to help secure your home. The fully connected smart home is throughly integrated with the traditional home security and surveillance systems, while the DIY options such as Amazon Alexa and Apple HomeKit are starting to see some interesting functionality as well. Below are a few of the categories everyone should look into when they consider securing their home. This is the traditional security alarm, made smarter in the connected home. 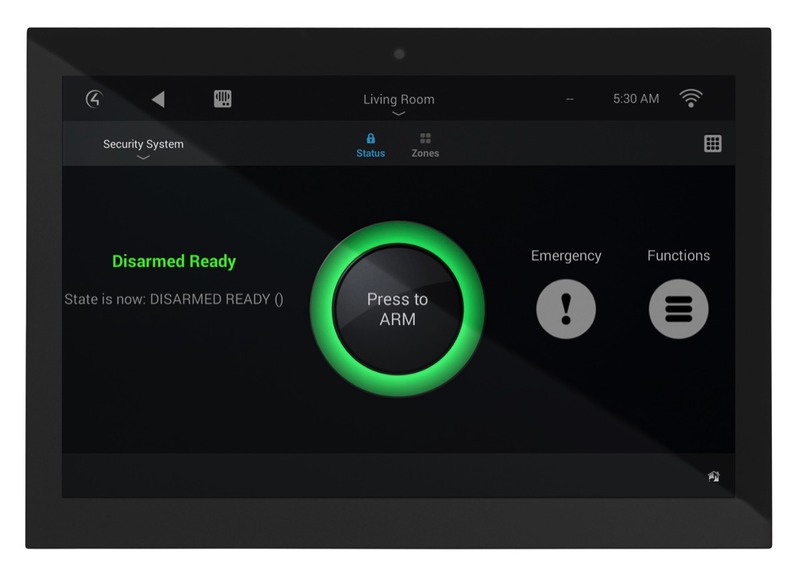 For example, an ELAN home control system can be armed and disarmed remotely from any smartphone, should that need arise. That is nifty, but a lot of things can be done remotely from a smartphone. What makes ELAN’s ability so powerful is what all can be done simply by arming or disarming your security system. For instance, arming your alarm system from the airport before heading out of town could AUTOMATICALLY turn off your lights, close your motorized window coverings, turn down the thermostat, turn off all of your electronics and lock all of your doors. All of that with just one button on an easy to use app. Similarly, the same sequence of events could be done each time you left the home, simply by pressing a button by your backdoor, or arming the alarm system the way you always have. Disarming the alarm could trigger a similar sequence of events, such as returning the thermostat to your favorite temperature, turning on your lights, opening your shades and starting your favorite Pandora station. Sure each of those things could be done from their own individual apps, but in the time that takes you might as well just walk around the house flipping switches and cranking thermostats. Beyond the convenience, a good smart home app will give you visibility of what is happening at your home. Imagine if your child disarming the system when returning home from school automatically sent you a personalized text message? For that matter, imagine being able to turn off the TV from work to gently remind them to complete their homework? That provides true peace of mind. Finally, the connected home could help signal police in the case of a true emergency. In the event of the alarm being triggered your system could be programmed to turn on all interior lights and flash the lights on the front of the house, making it easier for the police to find your home, and much less likely that an intruder would stick around. An alarm is one thing, but working in a home that is alive is another! Surveillance cameras are another piece of the secure smart house. While they won’t actively warn a potential burglar away, their presence is enough for most potential thieves to choose an easier target. Unlike a security system, a burglar has advanced warning that their actions will be noticed, so they are far less likely to choose a home with a visible surveillance system. Beyond that, surveillance systems also provide incredible piece of mind and convenience. Peace of mind in the form of knowledge of what is happening around our homes, whether we are there or not. Cameras allow us to see the entire perimeter of the home, which can be great when traveling, or even when home alone. That bump in the night is a lot less scary when a click glance at your iPad or television tells you it was just the neighbor’s cat. My wife and I personally use our cameras when we host parties at our home. If we are preparing food or doing some last minute cleaning we will display the cameras on our televisions and kitchen touch panel, so we can see as guests are arriving. During the holidays this was wonderful, as it allowed us notice when elderly grandparents arrived so we could help them into the house. While standalone security camera systems have most of these features, the ability of a control system like Savant to have dedicated touch panels around the home displaying cameras makes for a much more powerful user experience. On top of that, a control system might allow you to view your front door, and unlock the door from the same screen, instead of jumping between apps or (heaven forbid) hiding a key in your flowerbed for a stranger to find. An additional form of security in the smart home that has really caught on is the door station. 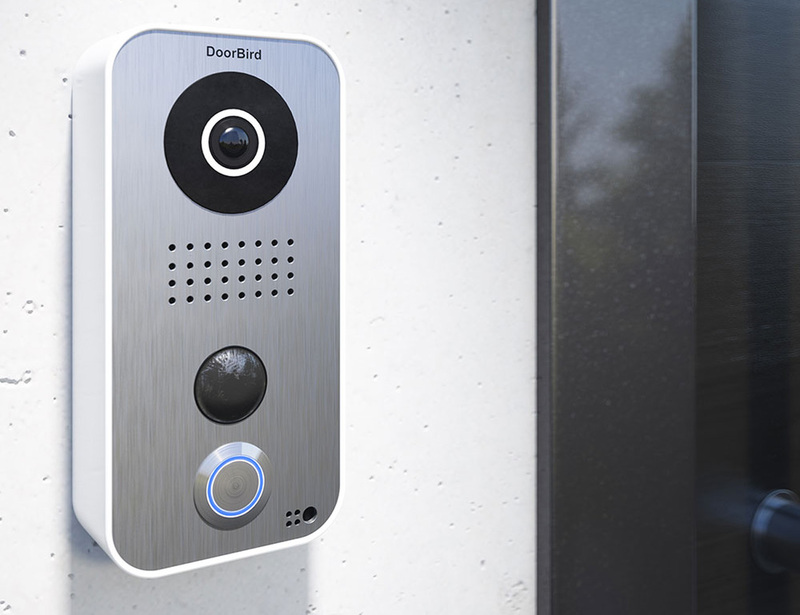 Companies like Doorbird, Ring and Skybell have released “smart” devices that serve as a combination doorbell, security camera, remote alert device, and more. The original devices didn’t survive well when exposed to the elements, but newer models seem to be much more robust. They can often be wired using the existing doorbell wiring, and can be connected to your home’s intelligence via wi-fi. Intercom stations, even those with cameras, are nothing new. It is the standalone feature set that the new parade of products has introduced that has made them so popular. For one, most require only the doorbell device, a wifi router that you already have, and your smartphone. No updated infrastructure required, just screw it to the wall, open an app and you are up and running. Wireless chimes that plug into your electrical outlets means that something like Ring could be used even in the event that your door wasn’t wired for a doorbell, which I have seen many times. Again, the DIY solution is convenient, simple and fairly powerful. The professional solution, like Control4 for example, takes the same idea and adds a few more features. For example, if you had a dedicated touch panel in your kitchen it could automatically display the audio and video from the doorstation when ever the doorbell was pressed. No fumbling to fish your phone from your pocket, no creeping around the corner to spy who is at the door, no need to do anything if it is a door-to-door salesperson. Just go back to what you were doing with the peace of mind that you didn’t miss a thing. Did a package just get delivered? No need to rush out to meet the delivery person only to open the door as they are getting in their truck and speeding away. Just finish your TV show and get it at your convenience. While you might not think of automated lighting and battery operated shades as a security feature, they can go along way into making a home appear occupied, even when it isn’t. Let’s face it, most window coverings aren’t used as often as would be ideal. Due to the busyness of every day life, we often don’t consider the security downsides of letting people see into our homes. On the other side of the coin, we often use more artificial light than we need to, because it is easier to flip a switch than open all of our blinds. Motorized shades allow us to maintain privacy and security, but also enjoy natural light when we are home. This increases security, lowers energy consumption, and makes our homes a more enjoyable place to spend time. In the same way, automated lighting like Lutron allows us to give the appearance of a lively and active home, even when no one is at home. 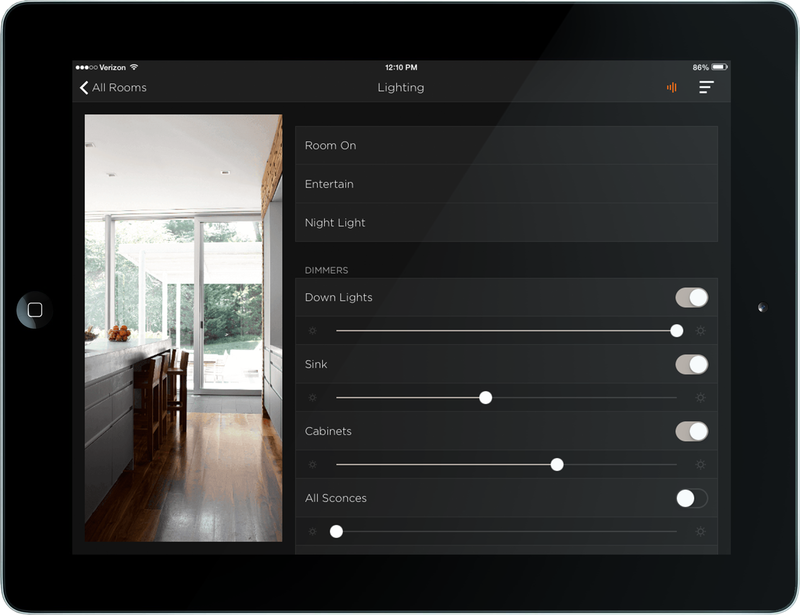 When people are home they get the benefits of beautiful lighting that is easy to control. They also get the benefit of never having to walk into a dark home, which can be a safety risk in a number of ways. Imagine lights that come on automatically as your drive up to the house, or lights that come on as the sun is setting automatically. Automated Lighting and motorized shading are two smart home systems that provide additional security, but also greatly increase the ease and enjoyment of living in a smart home. Those are just a few of the many product categories that make up the smart home security field. Please don’t hesitate to reach out to us if we can help make your home more secure, more comfortable and more convenient.